The Bank of England today released their latest semi-annual FX turnover survey results for April 2014. 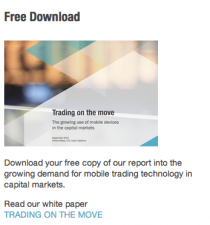 The three main OTC FX platforms have now reported their Mar 2014 volumes. 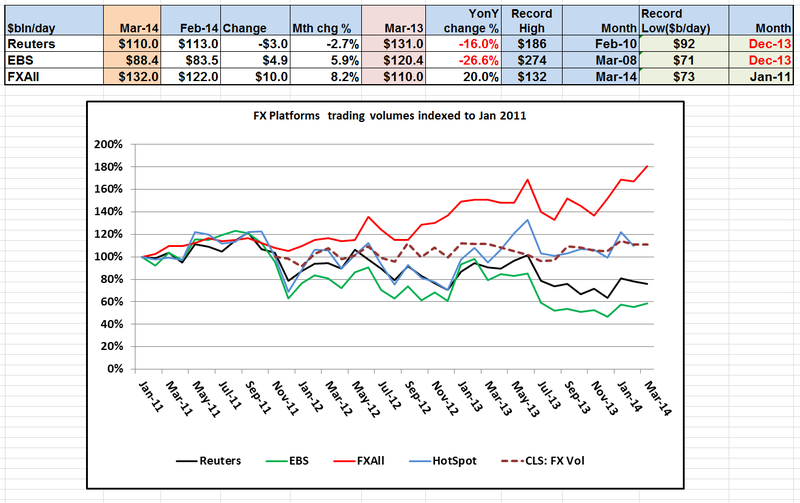 Whilst Reuters matching saw a small drop in volumes and EBS a small rise, FXall saw strong growth. Hitting a new all time high, driven by record volumes in Chinese CNH on the back of recent intervention by the Chinese authorities to halt the one way bet on a continually rising Yuan. FXall: $132bln/day, up 8.2% on the $122bln/day in Feb 2014, and some 20% up compared to Mar 2013 level of $110bln/day. Reuters Matching: $110bln/day, down 2.7% on the $113bln/day in Feb 2014, and still some 16% down compared to Mar 2013 level of $131bln/day. EBS: $88.4bln/day, up 5.9% on the $83.4bln/day in Feb 2014, but still a 26.6% down compared to Mar 2013 level of $120.4bln/day. Hotspot: to be added once released. 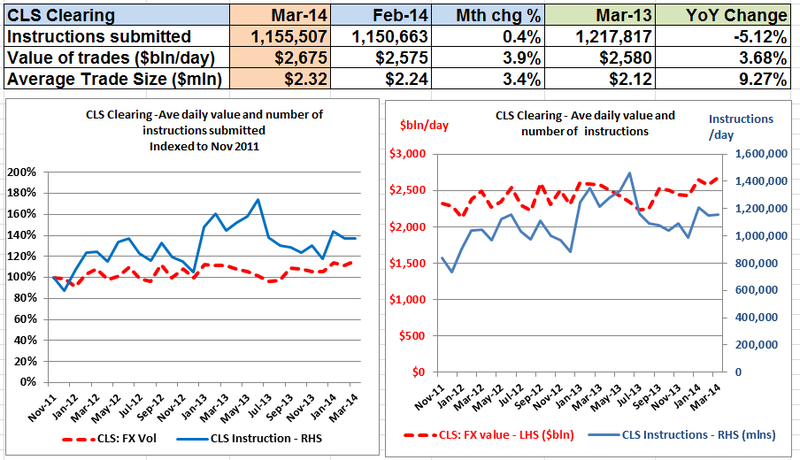 CLS value of trades submitted: $2,675bln/day, up 3.9% on the $2,575bln/day in Feb 2014, and 3.68% up compared to Mar 2013 level of $2,580bln/day. CLS number of instructions submitted: 1,155,507, up 0.4% on the 1,150,663 in Feb 2014, and -5.12% down compared to Mar 2013 level of 1,217,817. Interesting article in FX Week, about banks pulling their liquidity provision back from a number of multi-bank platforms due to the high cost fee structures on those platforms.